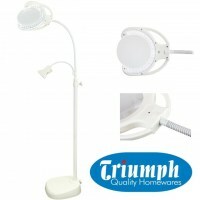 The contemporary styling of the Triumph LED Rechargeable Lamp adds a wow factor to your sewing area. 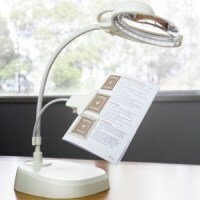 Its solid, sturdy base resists tipping over and the brilliant daylight lamp is goosenecked so that you can get the perfect angle to illuminate your projects perfectly every time. Best of all, this amazing floor and desk lamp can be taken to classes and retreats as this lamp offers 3 hour charge.Perfect for outdoor use. 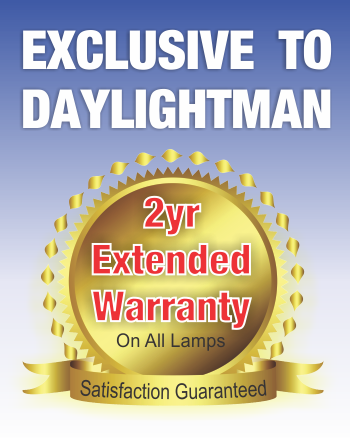 Featuring 24 brilliantly LEDs that have three light intensity settings controlled by a touch sensitive on and off button, there will the perfect light for every situation.